At Ring Sports United we teach USA Amateur Style Boxing and Brazilian Jiu-Jitsu. Memberships are unlimited, therefore you can take all the classes you're eligible for and are encouraged to train at the club during “Open Gym” hours. We have both morning and evening classes available. The best thing you can do is come by and watch a class, tour the facility, and get answers to any other questions you might have. The next step would be to schedule a boxing orientation that is required before attending Basic Boxing class. You will need 14oz to 16oz boxing gloves, hand wraps, and a jump rope for our boxing classes. We have these items and other quality gear available for purchase at the club if you choose. You may attend the Jiu-Jitsu classes immediately upon sign up (with purchase of “Gi” uniform). If you’d like we can give you a phone call and answer any other more detailed questions you might have, just forward the best number to reach you at and we’ll give you a call back as soon as possible. We teach REAL BOXING at RSU through a very structured approached based off of many years of legitimate experience. All new members undergo a one-hour personal orientation prior to joining class to introduce them to our curriculum so that our students will know what is expected of them from the very beginning. We do not let anyone in off the street to try a "free" class because classes are well structured and will involve working together with other students who know the curriculum. It is important to have everyone be on the same page and understand the proper fundamentals and common verbiage that will be used in class. Memberships are unlimited, therefore you can take all the classes you're eligible for and are encouraged to train at the club as much as you are able including during the Open Gym hours. To get started the best thing you can do is come by and watch a class, tour the facility and get answers to any other questions you might have. The next step would be to schedule a boxing orientation that is required before attending Basic Boxing class. CONTACT US TODAY and set up an orientation to join our family! What’s makes RSU different from other boxing programs is that our coaches and trainers have many years of real coaching and actual boxing experience under our belts. 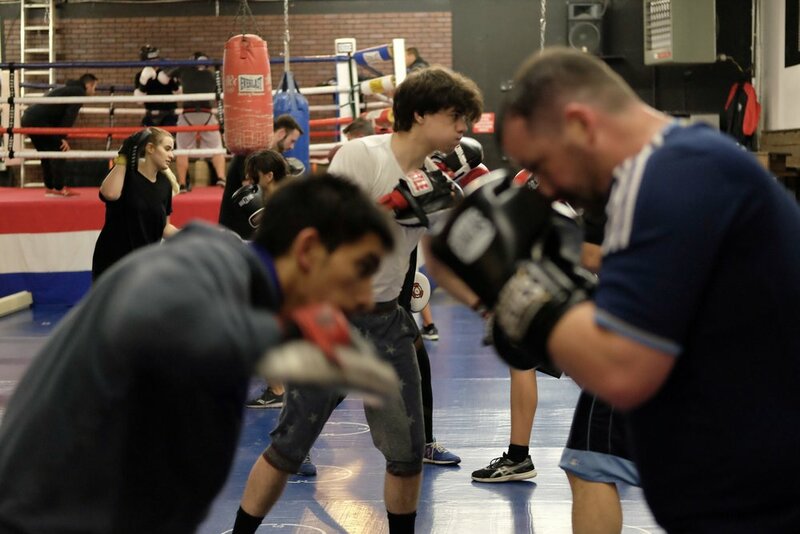 Our coaches understand exactly what it takes to introduce, guide, and develop individuals through the art of boxing to become the best versions of themselves. We don't want you just to learn to box, we want you to grow to your highest potential THROUGH boxing. RSU holds itself to a higher standard when it comes to leading a class, and we take that responsibility even further when it comes to calling oneself a coach. 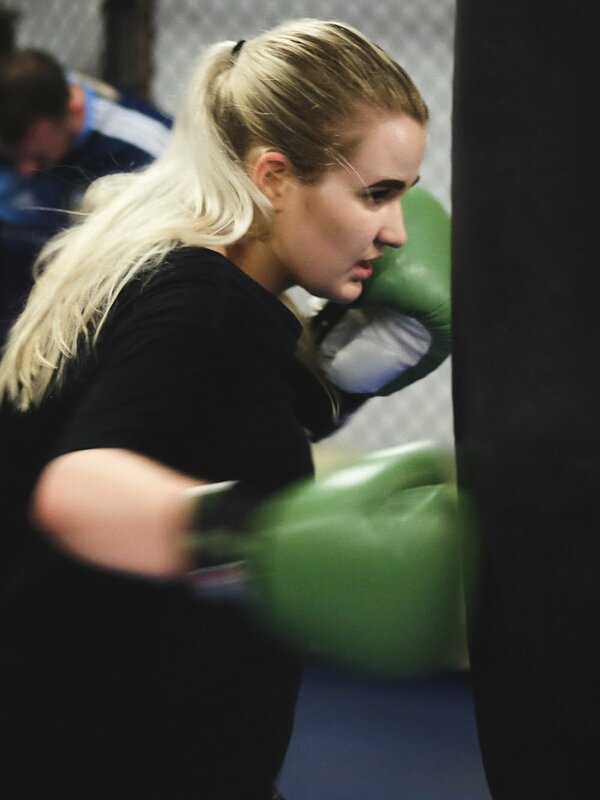 It’s true that there have been people who have taken basic boxing classes here at RSU and are now leading classes at other clubs, calling themselves "coaches" because of the way we teach our curriculum. BUYERS BEWARE: Know the difference between taking a "boxing class" somewhere, leading others in class, and learning from an actual experienced coach. Please take look at our schedule located at the top, if the times do not work for you, RSU also offers expert private instruction to take your training to the next level.